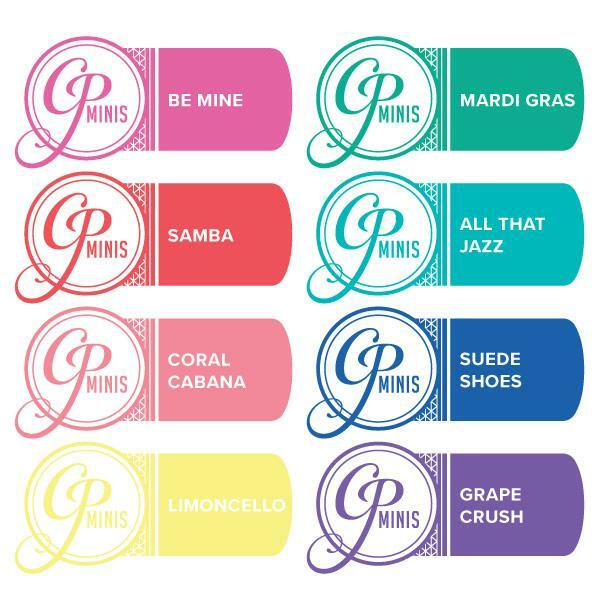 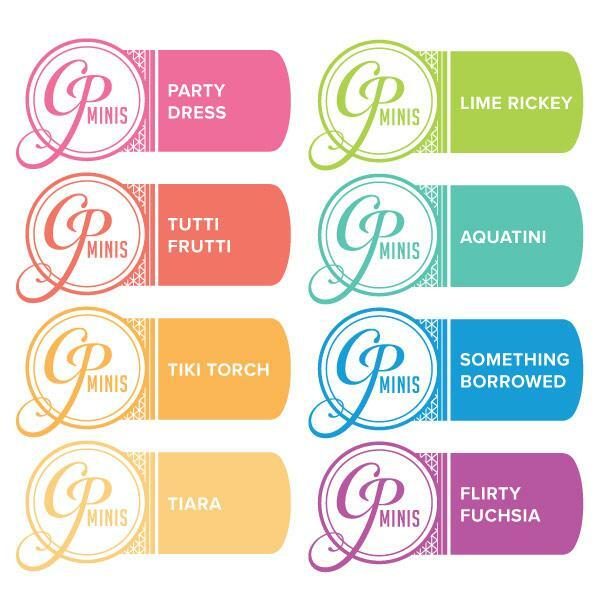 The Life of the Party CP Minis Bundle has 8 gorgeous vibrant colors wrapped up in a mini sized* ink pad that takes up less space and are perfect for on the go! 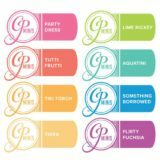 This bundle includes Party Dress, Tutti Frutti, Tiki Torch, Tiara, Lime Rickey, Aquatini, Something Borrowed, & Flirty Fuchsia. 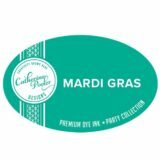 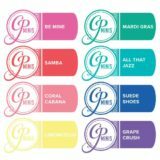 This bundle includes ….Samba, Be Mine, Coral Cabana, Limoncello, Mardi Gras, All That Jazz, Suede Shoes and Grape Crush. 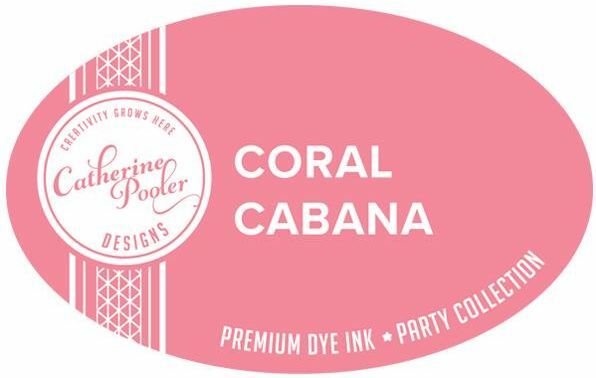 Don’t these colors just make you want to party? 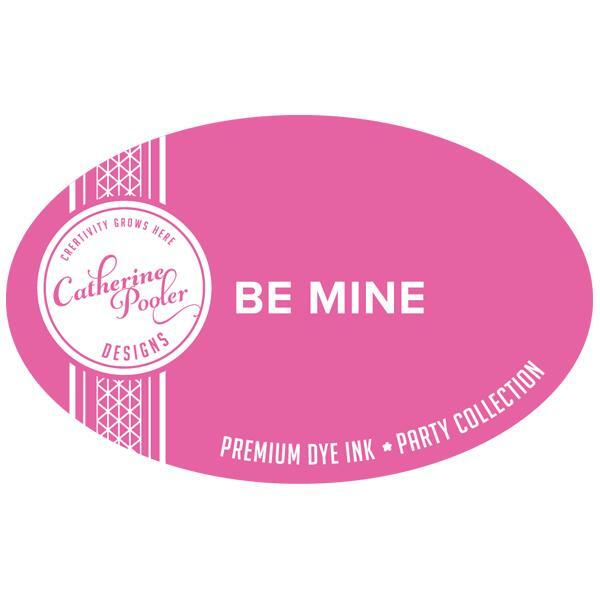 CP Minis give you all the benefits of Catherine Pooler ink wrapped up in a mini sized* ink pad that takes up less space and are perfect for on the go! 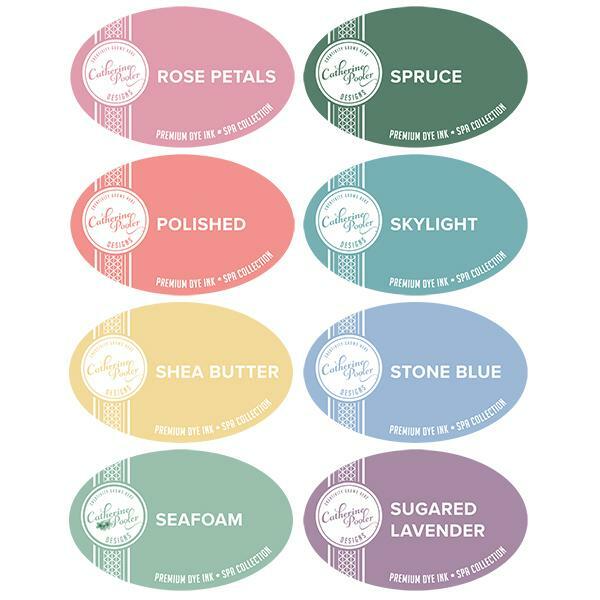 The Foundations Collection Mini Ink Bundle is part of the Party Collection of inks. It has 4 gorgeous vibrant ink colors: Rockin’ Red, Orange Twist, Grass Skirt and Fiesta Blue….the four basic colors that everyone needs. 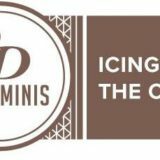 Icing on the Cake is a gorgeous deep, dark brown ink. 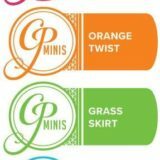 The mini size is perfect to take on the go! 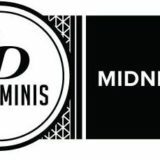 Midnight is a deep black, archival dye ink. 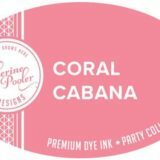 It is permanent & safe for watercoloring, and great for using alcohol ink markers, like Copics. 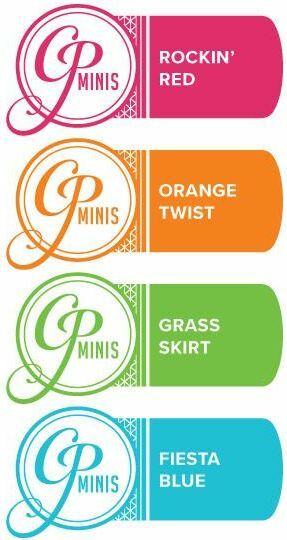 The mini size is perfect to take on the go! 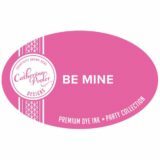 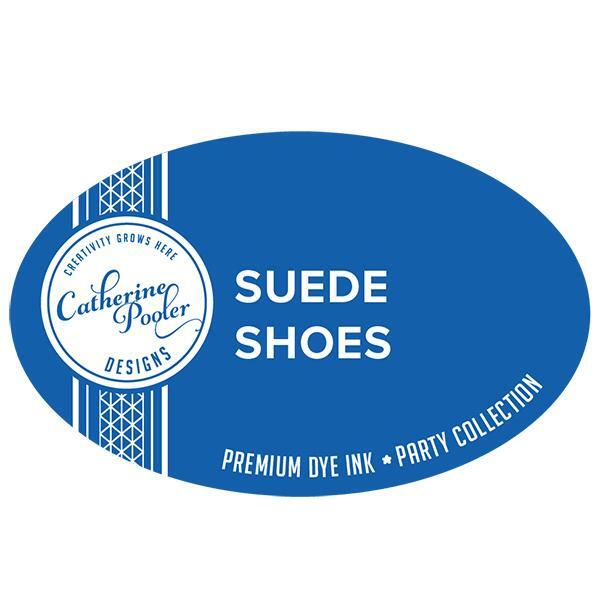 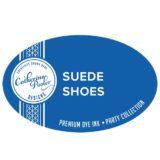 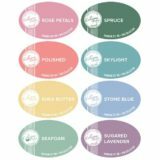 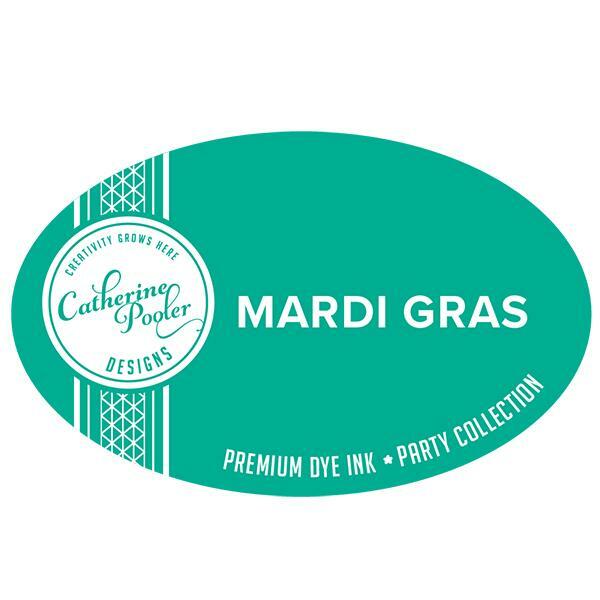 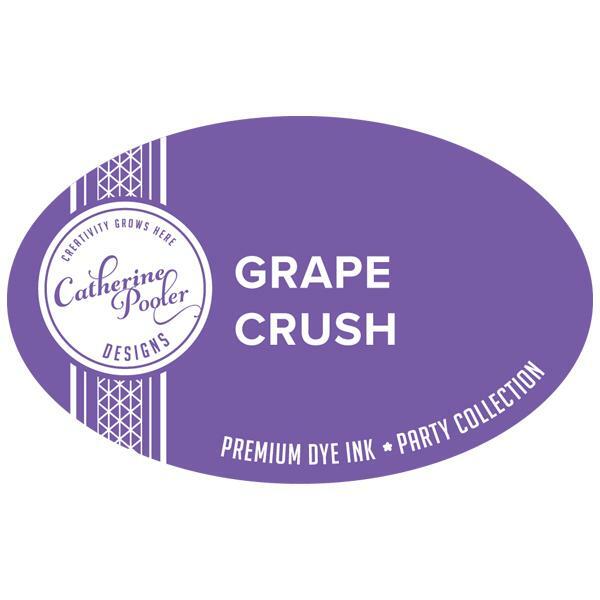 Catherine Pooler Designs Inks are premium dye inks.